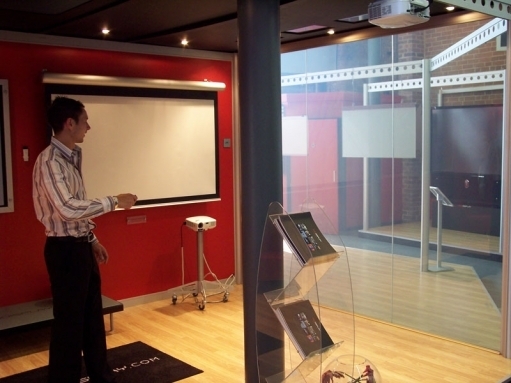 Switchable Glass is also available as a laminate glass offering greater safety and security in both the workplace and the home. The seamless nature of laminate glass means that panels can be positioned side by side (glass to glass) without the need for any vertical frames. This makes switchable laminate glass the ideal choice for glass walls and partitions, creating a very minimal and contemporary look . The Smart Film is protected, being bonded between two sheets of glass, which makes laminate glass a safer product and more durable in certain applications – high traffic areas, bathrooms, hospitals, clean rooms etc.